Odin is the ‘Allfather’ in Norse mythology. He is the God of battle and also of wisdom, magic, and poetry. His name means ‘fury’ or ‘frenzy’, the quality of fierce inspiration that guided warriors and poets alike. He is also a relentless seeker and giver of wisdom. 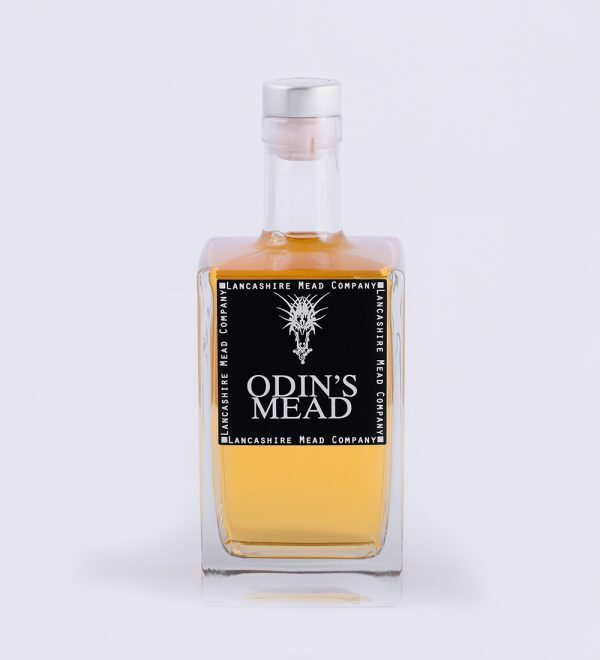 This mead is a traditional ‘Metheglin’ (herbed honey mead). The tannins give the mead a more ‘full bodied’ flavour, making it a firm favourite for drinkers who like oaked red wine, real ales or casked whiskey. We achieve this remarkable flavour simply by adding tea to the fermentation process. This gives the Mead a Whiskey-esque top palette.